Netflix, which last week raised its monthly subscription prices for all 58 million of its U.S. subscribers, may see a slight drop in its subscriber count in response to price increases, a new study suggests. News site Streaming Observer recently partnered with Mindnet Analytics to "gauge [subscribers'] reaction to the latest round of price increases." Of the 607 adult subscribers who participated in the survey, nearly one-fourth (24 percent) of respondents said they "might cancel" Netflix over the higher prices. Three percent said they would “definitely cancel" their subscription. However, most subscribers (71 percent) said they would keep their Netflix subscription despite the latest round of price increases. Ten percent of those who responded to the online survey said they planned to downgrade to a lower-priced plan. 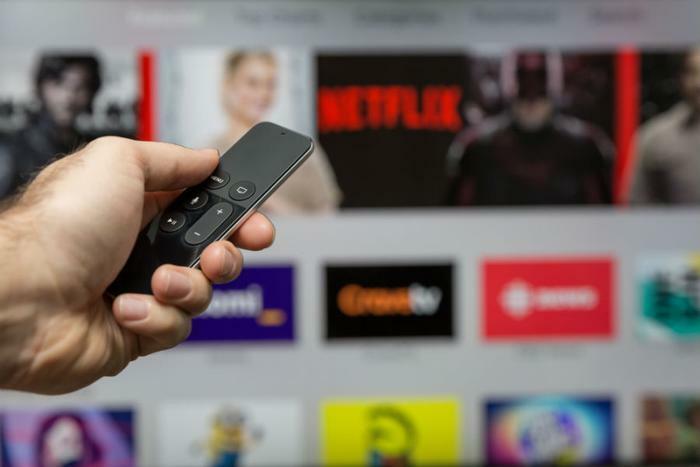 Two-thirds (65 percent) said they would consider a lower-priced or free version of Netflix with advertisements, which is a change from past survey results. “In the past, many Netflix users were adamant they would never tolerate ads on the streaming service," the site's founder and editor-in-chief Chris Brantner said in the survey results. The new prices have most subscribers “reconsidering” whether they’d still subscribe to Netflix if ads were included, he added. In response to whether they would consider a discounted, ad-supported version of Netflix, 35 percent of respondents said "No discount is enough" to have to sit through advertising. The rest of those polled had different ideas on how much of a discount they would require if commercials were thrown into the mix. Fifteen percent said they would want the service for free, 8 percent said that would require a 75 percent discount, 29 percent wanted the service to be half-price, and 13 percent would require 25 percent off to watch ads while using the service. Netflix’s new monthly prices will cause consumers’ bills go up anywhere from 13 percent to 18 percent -- the biggest price jump in Netflix’s history. Existing customers will see the price increases reflected on their bills “over the next few months.” New subscribers will already see the new pricing on the company’s website. Streaming Observer noted that Netflix’s previous price increases haven’t taken much of a toll on its overall subscriber count, even when large numbers of subscribers said they might cancel the service over the change. “In the past when Netflix has raised prices and subscribers have threatened to cancel in large numbers, analysts predicted only a very small percentage, roughly 3%-4%, of subscribers would actually do so. In that case, the price increase would still prove to be quite profitable overall for Netflix,” the report said.